I had an interesting discussion at the Neil Ellis winery last Friday, waiting for the start of a tasting (including a new, fine and expensive wine called Webb Ellis 2010 – of which more some other time). In the first place, the chat involved me being a little more gung-ho about Stellenbosch wine in general than Roland Peens, of the indispensable Cape Town wine merchant, Wine Cellar. We got onto cabernet-cinsaut blends, about the future of which Roland is particularly enthusiastic – partly based, I’m sure, on the history of such blends in the Cape in the good old days. 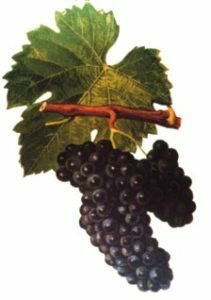 What’s more, cinsaut is currently showing its great potential as a fresh, fairly light varietal wine of character (think Sadie Pofadder, Badenhorst Ramnasgras, Mount Abora Saffraan, Stellenrust and Waterkloof for starters); it also plays a useful role in many shiraz-based blends in the Swartland and elsewhere. I would hate, though, to lose a concern with mono-varietal cabs in Stellenbosch, or with cab-based blends with other varieties (even much-maligned merlot!). And, importantly, while I do think there are many of those wines currently that could do with a good deal of lightening-up and freshening-up without losing any of their seriousness, there are also other means of achieving this that are more important than finding a “lighter” grape to add to the equation. Viticultural improvement, to get better ripeness at lower alcohols, would be the most important such means, I reckon, as part of a mind-change that moved away from ultra-ripeness, power and lashings of new oak. Interestingly, the tasting at Neil Ellis included a wine which showed clearly that cinsaut is not a magic bullet, however fashionable it is in some circles. The Neil Ellis Vineyard Selection Cinsaut Noir 2012 comes from coolish Groenekloof (source of the winery’s famous Sauvignon Blanc), and is moderately oaked (just 20% new barrels used). But, in line with the winery style (which works effectively for the excellent Vineyard Selection Cabernet Sauvignon), it is a ripe, big, rich, plush wine, with more fruit sweetness than freshness, or structure for that matter. Perhaps, blended with cabernet, this wine could soften tannins and allow for easier, fruitier, earlier drinking than many straight cabs. But it would not add freshness. It might arguably be true that Stellenbosch is not generally keeping pace with the vanguard of the Cape wine revolution, and of course that truth, if it obtains, would please some people. It might be that too much Cape cab is ponderous. The way forward, I’d suggest, is not through pinning hopes on one variety, or bunch of varieties. It’s through a new aesthetic, and finding the viticultural (and then winemaking) means to achieve it. I think that process has begun. I have recently drank 2 bottles of the Albert Ahrens Bottelary Seventy Wine.His Cabernet Sauvignon/Cinsaut Blend is extremely good and a confirmation of the article of Tim. Lekker – drinkability obviously not a problem there, Smirrie! Well Tim. You have spoken on 15 September 2013 on your Grape blog and we have listened. First vintage of the Cabernet sauvignon Cinsaut 2012 was bottled in 2014 – harmonious but youthful. Exciting stuff at Stellenrust with Cinsaut et al. Thanks for the inspiration.